Buying pet insurance is one of the most important things you can do to protect your dog's health. It is relatively low cost, but can protect your Jack Russell or other breed against unexpected problems later on. Jack Russells in general are a very healthy breed, but a little insurance can buy piece of mind that you can care for your Jack through his or her life. The tips below will help you purchase the Jack Russell insurance that is right for you and your budget. How can you afford not to protect a face like this? Our Jacks are very active, which is why for a few dollars a month Jack Russell Terrier insurance is important. Pet Insurance is relatively a new idea. Many companies are out there and if you're like me, I tried some that did not deliver what they promised, or were simply hard to work with, or didn't offer the kind of packages that worked just right for me and my Annie. But I like to let my Annie roam and hunt the whole countryside, and I have had a few occasions when a rush to the Vet (once because of a cut paw from barbed wire, another time a snake bite, and another time, injuries ensued from a fight with another dog) ended up costing me a hand and a "paw"...so to speak. I felt relieved when I got the bill because I had bought into a pet insurance for Annie that I thought would take care of most of the cost. But when it came down to the fine details of paying...this company (I won't name names ok?) had some fine print I had "overlooked" and didn't cover most of the charges. Well, I set about to find pet insurance I could trust. And lo and behold I found not only a reliable one, but one that has no hidden fine print that will surprise you after getting your Vet bill. But what worked for me, may not work for you, which is why I suggest you get quotes from several high quality companies. You know your dog best, what you can personally afford, and rates vary by where you live. If you can afford every day care, then look for a policy that covers you for higher cost problems such as broken bones. Annie has been to the Vet three times since purchasing my pet insurance policy (once again for the Napoleon complex injuries...fight with a bigger dog) and each time the speed by which they delivered payment, the friendliness, but especially the promised coverage, went through without a hitch. I just couldn't be more pleased. So when I find good products for my Jack Russell friends, I can't wait to point them in the right direction. 1. Pets Best Insurance: This was the first insurance company for pets. It was started by a veterinarian who couldn't stand to see his patients not receive the care they need because of the high cost. They have many fairly priced plans available. 2. 24PetWatch: This provider offers program that has many of the features you should look for in a dog health insurance policy including unlimited lifetime coverage, and premiums do not increase based on the age of your dog. 3. Trupanion: This is the dog health insurance company backed by Petco. If you prefer to purchase insurance from a company backed by the reputation of a large company, this is the way to go. The positives with this plan is that they make it very easy. They offer 1 plan that pays 90% of your veterinary bills. 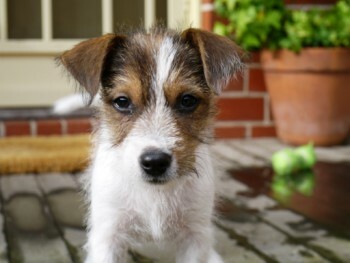 Here are some good reasons for why you need Jack Russell Terrier insurance. These were some of the reasons I decided to insure Annie, so I thought I would list them here for you to help you see the benefits of protecting your dog. If your pet suddenly falls sick or is injured, the last thing you want to worry about is having to make a trade off between what you feel is right and what you can afford. Pet insurance allows you to avoid life-or-money decisions like these. Young dogs eat stuff they shouldn't, indoor cats don't get enough exercise and can become overweight and unhealthy, older pets get arthritis and high blood pressure. Stuff like this happens, you can't really plan for it. When you are discussing treatment options with your veterinarian, you want to focus on doing the right thing, not the cost. Pet insurance helps you do that. A simple fracture can cost $2,000 or $3,000 to repair. Could you pay this if it happened today? #5 - You Have How Much Saved Up? You keep saying you want to set aside an emergency fund for veterinary bills ... how much have you saved up so far? Veterinary care is expensive and continues to get more expensive as it becomes more sophisticated. The statistics say that our wages are having trouble keeping up. Pet insurance that is designed properly can help you plan for life's unexpected turns and be inexpensive too. The unconditional love your pet shows you every day tells you. It can't hurt to check with your veterinarian as well to make sure that he or she accepts the insurance policy you selected as well. Here are some basic questions to ask or review when buying Jack Russell Insurance. Deductible: Higher deductibles (the amount you pay for each incident before the isnurance company pays) means lower premiums. Most plans let you change your plan options at any time such as deductibles, check to make sure you can make adjustments as you learn how your plan works. Limits: Some plans cap the amount they will pay for each incident or problem and over the life of your dog. Accident Coverage: Most plans will cover accidents such as broken bones. You can purchase a dog accident insurance plan that only covers these types of medical problems. Illness: Most plans will cover common illnesses, but ask about what type of chronic illnesses are covered. Ask specifically about diabetes, heat ailments and cancer. Reimbursement: We prefer plans that pay a percentage of the veterinary bill. Be sure that your plan doesn't cap this percentage, particularly if you live in a high cost area where Vet bills are higher. Veterinarian Selection: Go with a plan where you can choose the best veterinarian vs. one that dictates that you go to a veterinarian in network. Check the policy for emergency care as well as this might be a different veterinarian. Check also for the policy towards specialists. For example, one of our recommended choices, Pets Best Insurance, lets you see any Vet, pays 80% of your veterinary bills for accidents and illnesses and reimburses you in 5 days or less. You have a per incident deductible based on the plan selected. We also like that they have a 14 day refund guarantee, another sign of a reputable company. Do you have a Jack Russell insurance or pet health insurance suggestion in general? Share it and help others! And hey, it doesn't have to be about Jack Russells. Any kind of dog breed is good reading here! Your suggestions and opinions will appear on a Web page exactly the way you enter it here. You can wrap a word in square brackets to make it appear bold. For example [my story] would show as my story on the Web page containing your story.